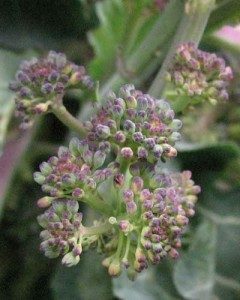 Today we are still harvesting purple sprouting broccoli, and at the same time planting seeds for next year’s crop. In fact we are planting lots of brassica seeds including brussel sprouts and cabbage. 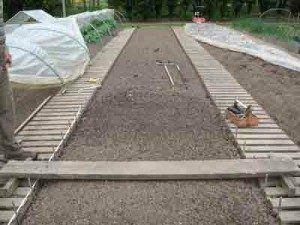 It is most important to prepare a seed bed to give the best growing conditions for the seeds. Place markers in position at either end of the row, using a tape measure to give the correct row width. Gently firm the soil down. 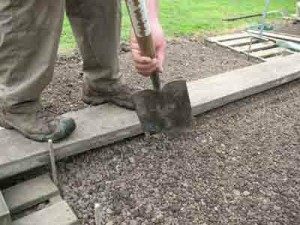 Use a walk-board, which is not resting on the soil, but supported at either end of the bed. Line the board up with the row markers. 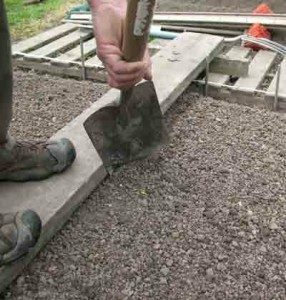 Draw a seeding groove with a spade. Use the walking board to produce a straight line, & work carefully to get the correct depth. 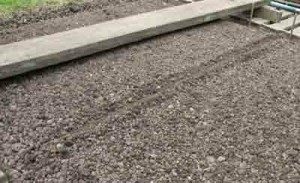 *Water the vegetable seeds in after planting.